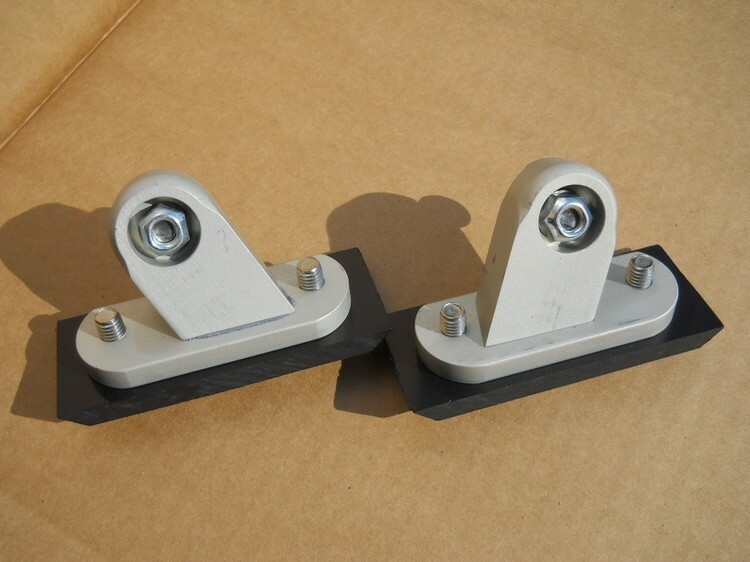 Edit 14th June 2018: As of today, these brackets are now back in stock! At last an answer to the very poor rear view provided by the OE mirrors. The solution is to use the mirrors from the the S1000RR. That preserves the original equipment look and provides mirrors that are further out and higher than the originals. Without different brackets the fitment requires surgery on the fairing panel and/or, frankly, a bit of a bodge. The S1000RR mirrors are lighter than the OE mirrors so there is no increased strain on the unsupported fairing panel, indeed the kit comes with a load spreading nylon plate that fits inside the fairing. 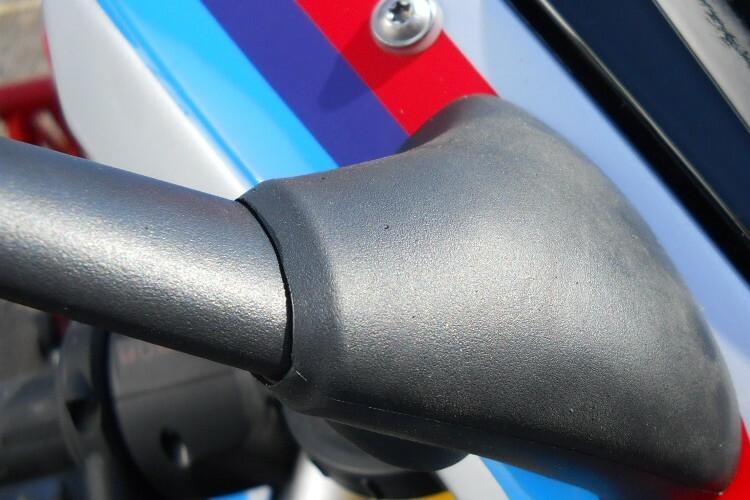 These are CNC brackets designed to replace the bottom bracket of the S1000RR mirrors with brackets that are an exact fit to the fairing panel without any modification to the panel. 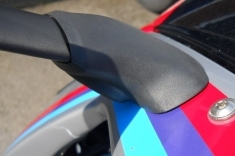 It also enables the 'knuckle' joint at the base of the mirror to function in a way that is more suitable for the carbon fibre nose fairing of the HP2 Sport. This is the complete kit. It may not always feel that way, but the manufacturing process has now been speeded up and streamlined and, whilst we were initially able to reduce the price, our supplier has now increased his price by 25%. We have passed on less than half that increase. 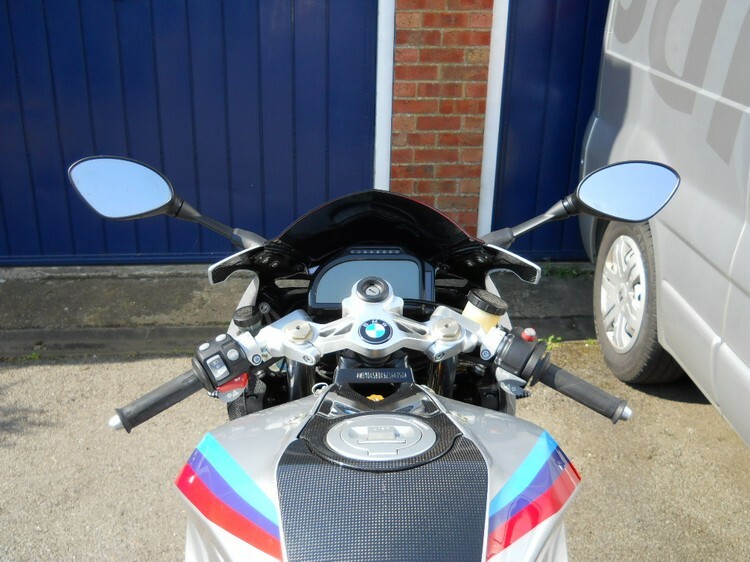 If you wish us to supply new S1000RR mirrors with the brackets already fitted, then we can do that for an extra £145 + VAT. I am also sorry about that increase, but it is entirely down to BMW price rises.